I’m going to do this in the style of a good ol’ fashioned smackdown! I’m evaluating each of the providers I’ve chosen with the same set of criteria, rating each aspect with 1-4 stars and then tallying the total at the end. Please note, this is all very subjective and based on my personal opinions only. The winner of the smackdown may not necessarily be the best VoIP plan for you (and may not end up being the best plan for me either). You can find a list of the specific plans I’m comparing in my previous article. The most important features in a VoIP plan for me are call forwarding, voicemail, and softphone. Call forward and basic voicemail are free. Softphone and visual voicemail are extra. Call forward and softphone are free. Voicemail is an extra $1.70/mo. Call forward, softphone, and voicemail are free. Call forward and voicemail are free. Softphone is extra. Call forward and vociemail are free. No softphone option that I could see. This part of the showdown is pretty straight forward. I visited 4 review sites and took the average rating from each site for the various providers. These reviews came from trusted professional sources like Cnet and Businessweek as well as from consumer review sites. This morning I tried calling each of the providers to get some extra information and clarify things for the purposes of this article. While I understand customer service levels are usually much better for prospective customers as opposed to current customers having and issue, but I still think first impressions in this category can say a lot about the company as a whole. Vonage was by far the most helpful company that I called. They answered all my quesitons and were very transparent about all the extra fees they charge. Skype doesn’t appear to have a phone number to call to ask quesitons. They offer online support, but I would have had to fill out a form and wiat for who knows how long. I gave them a 2 out of 4 because they have such excellent online FAQ’s and informaiton that I was able to get most of my questions answered on their website. Lingo was very helpful on the phone. I spoke with someone from customer support by accident, but he happily helped me out with my quesitons about the different service plans. ITP operators only work Monday-Friday. I’m calling on a Saturday. Luckily, I got most of my answers online. Voicepulse operators only work Monday-Friday. I’m calling on a Saturday. Luckily, I got most of my answers online. All of these are not including the cost of the phone hardware. Initial set-up price: $66.50. Monthly Price: $49.99. Vonage does require both the set-up fee and initial month fee up front. Initial set-up price: Free. Monthly Price: around $10. It’s hard to say how much Skype will cost in the end because all of it’s features are paid for ala carte. The monthly price I quoted here includes unlimited SkypeIn and SkypeOut calls to domestic land lines and cell phones. Initial set-up price: $39.95. Monthly Price: $79.95. After speaking with customer service, I found that the unlimited calling is only for landlines. Calls to mobile phones cost a fraction of a cent per minute, but still, I have a feeling I’ll be receiving plenty of calls from mobile phones. Looks like Skype came out on top thanks to their super low prices, good reputation, and decent selection of features. But is this the right plan for my business? Stick around for my next article in the series in which I’ll reveal which plan I chose. I’ll also be discussing the host-your-own and open source options which some of my readers brought up in the comments of the last article. We’ve used them for almost two years now and are *very* happy with the service. The pricing model is great, call quality is great, and the customer service is excellent. Sorry for my delayed response to your post. OnSip looks like a great business service. It’s a little too much for me right now, but once I look to expand in the future, I’ll take this into serious consideration! Very cool list. I agree with you on your placing of skype on the list. 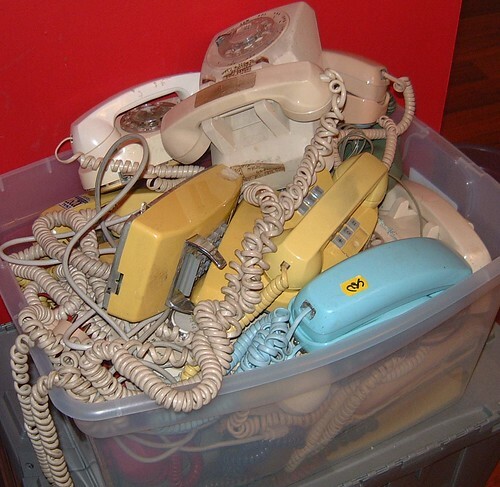 VoIP and SIP providers are quickly becoming the new telcom’s. There is no need for a small business to spend a ton of money on a PRI when they can get SIP trunks at a fraction of the price and use there existing internet connection. The same goes for simple single phones in a home. VIOP is definitely the way of the future. It’s exciting to see the new technologies being developed. I am an electrical engineering and programmer, and although I don’t work in the VOIP field, I am great interested by it. Yes! Throw all the phones away! The Magic Jack is a fantastic VoIP device. Never had any problems with it! Saved a ton of money.